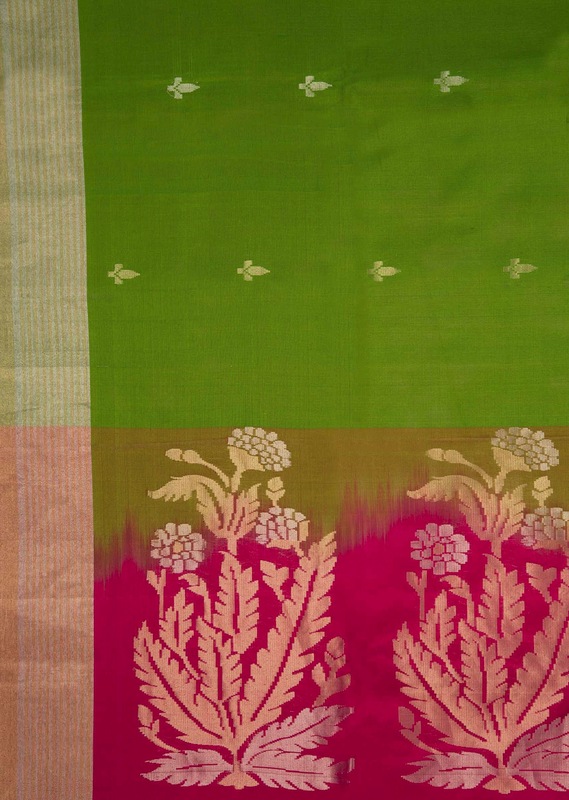 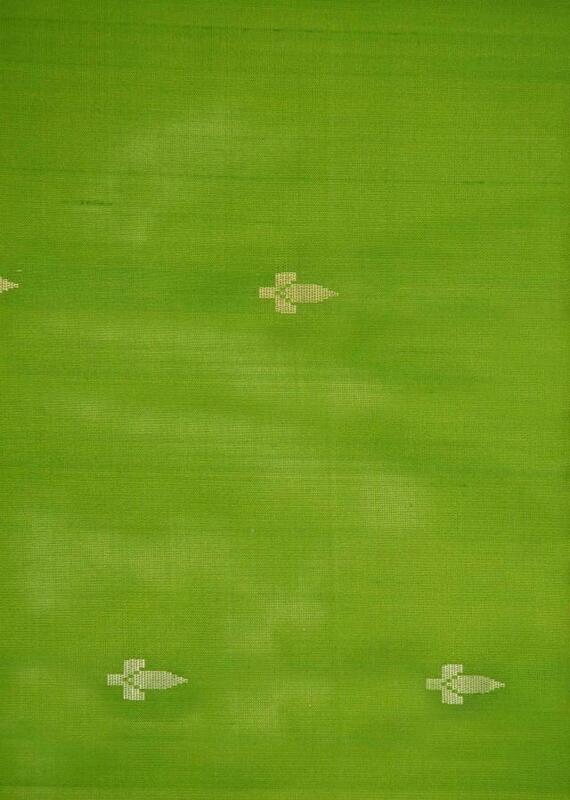 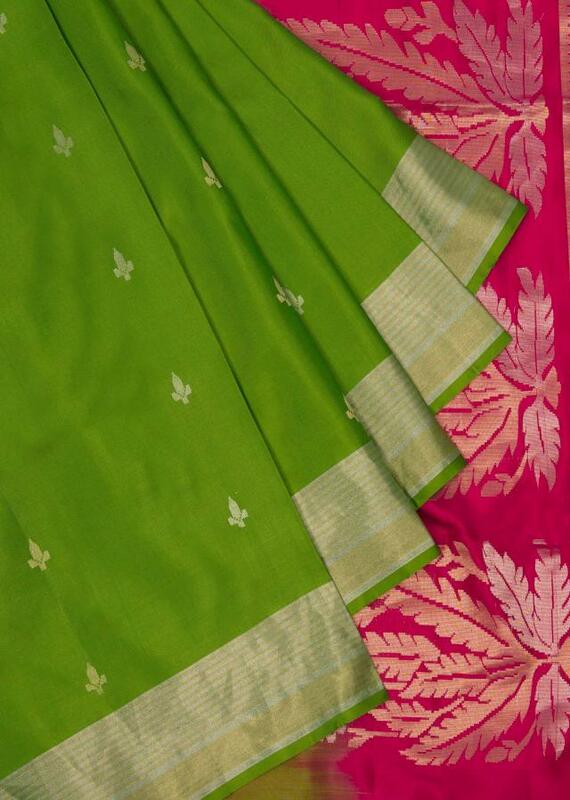 The parrot green color saree is featured in the fabric silk. 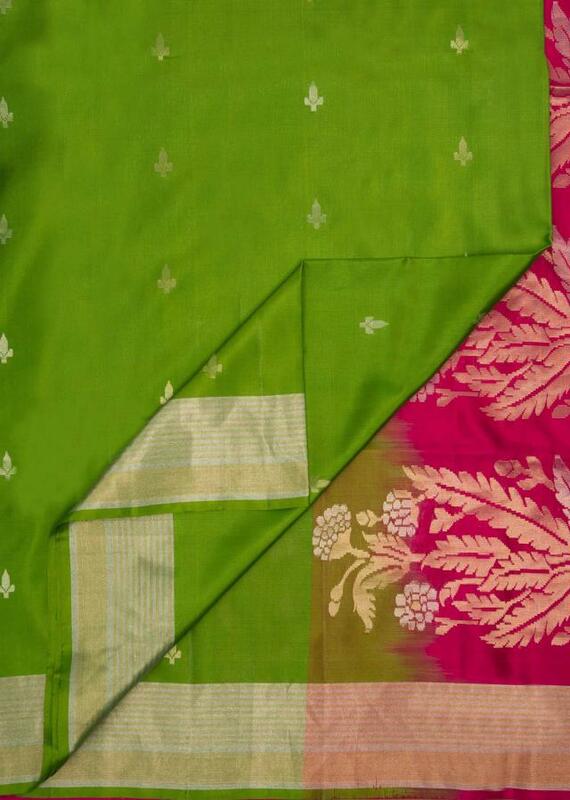 It is enhanced with simple looking weaved butti work. 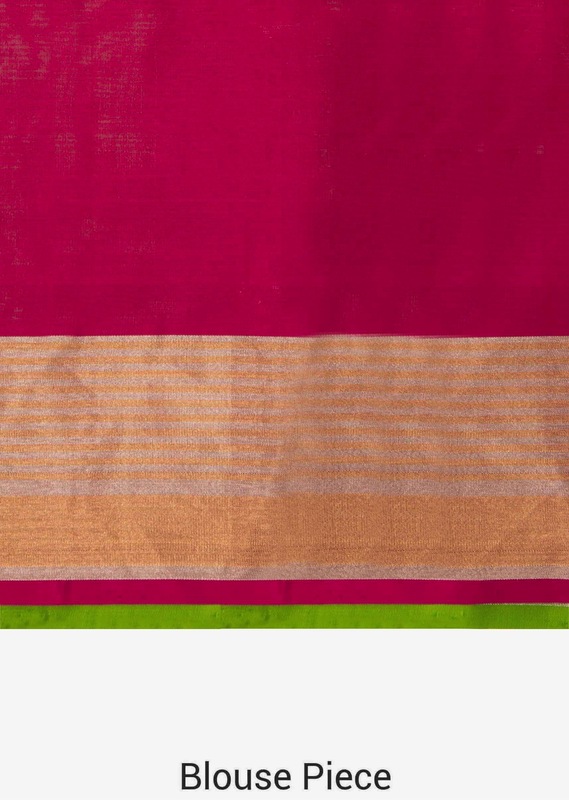 The saree comes with a rani pink pallav attached with trendy tassels that adds to the beauty the saree. Matched with a unstitched blouse in rani pink. Slight color variation is possible due to digital photography.